I recently saw an article about artist Brent Christensen and the amazing ice sculptures that he creates. Sparkling walls of ice, up to twenty-five feet tall–the sculptures are beautiful. Living in Kansas, I get the best of the hot AND cold seasons. But I imagine that–hypothetically speaking–if I were to move from sunny California to chilly Utah, my fun winter activities would include reading books by the fire and waiting for it to warm up outside. I love the fact that the Christensens didn’t sit around pining for the time they lived in California or waiting for winter to be over. They decided to do new things in this new place–things they could never have done in California. This is a principle I want to apply more to my spiritual life. Because I’ll tell you, trying to do spiritual practices with kids around doesn’t feel much like sunny California. Those awesome week-long silent retreats? That spiritual directors’ program that involves a weekend retreat every month? A pilgrimage to Iona and Taize? Long stretches of morning silence when I can sip my tea and contemplate God? These practices are not possible in my life right now. Not if I am also being faithful to my marriage and my children. I don’t get to run away from home (or lock the children in soundproof rooms every morning). And if I am honest, I sometimes resent these limitations. I spend a lot of energy wishing I lived in sunny California. But what if I took a cue from Brent Christensen and simply asked myself what new thing I might be able to do in the place where I am–this parenting place of crowded bathrooms and homework and viola lessons. Certainly there are spiritual practices that I cannot do right now because of my role as a mother. 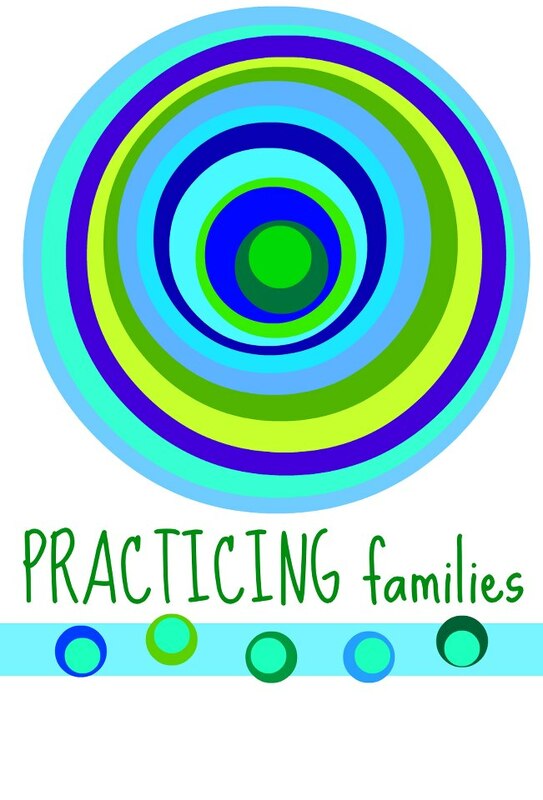 But there are also practices that I could not–or would not–do without children. Reading stories out loud? Collecting interesting sticks and rocks? Listening to my daughter play viola for our church family? Sitting and listening to my children’s joys and concerns for the day? These practices–and so many others–are possible in my life right now. I want to live more fully into this reality. I want to explore and better appreciate what it means to live a spiritual life in the context of family. I want to learn to build ice castles while I’m living this particular season of my life. And so I am heading up a new blog project. (Yes. Because I need something to do with my free time.) It’s called Practicing Families. It’s a collaborative effort and I hope it will develop into a community of people passionate about living the life of faith every day–particularly through the season of parenting. And, if you would like to contribute writing, photos, or other efforts to the project, just let me know. Prayers are also appreciated. thank you. I like this–doing what we can NOW where we are now. Thanks for reading, Dawn. I’m glad to know I’m not the only one who needs this reminder from time to time. I fixed the broken link to the blog.